Lately there has been some controversy brewing over milk—specifically raw milk, and its sale and safety. 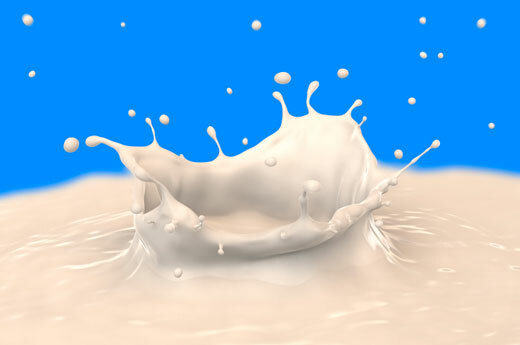 By definition, raw milk is milk that has not been pasteurized or homogenized. Proponents of the raw stuff insist it not only tastes better, but it’s also more nutritious since it hasn’t been heated to kill off pathogens. So why is it so objectionable to public health officials? According to the U.S. Food and Drug Administration (FDA), raw milk can harbor dangerous microorganisms that pose serious health risks, mainly foodborne illnesses spawned mostly from bacteria like Salmonella, E. coli, and Listeria. The FDA further claims that pasteurization, a heating process developed back in 1864, does not cause lactose intolerance or allergic reactions, nor does it reduce milk’s nutritional value. But raw milk enthusiasts tell a different tale, insisting that their preferred beverage is actually safer than pasteurized milk because it is gleaned from healthy, grass-fed cows, which also may account for the difference in taste. Conventionally raised cows, advocates argue, need their milk to be pasteurized because they live on bacteria-prone industrial farms. Grass-fed cows do not reside in such dangerous conditions, and therefore their milk might actually be less likely to cause illness. And according to data released by the Centers for Disease Control and Prevention (CDC) earlier this year, nearly half of foodborne illnesses in the United States from 1998 to 2008 were linked to fruits, nuts, leafy greens, and other vegetables. Dairy was the second most frequent food source for infections, which is interesting considering the vast majority of milk, cheese, yogurts, and other products sold in the U.S. is, by law, pasteurized. Meat and poultry were to blame for 22 percent of foodborne illnesses and may also be to blame for contaminating produce. Livestock waste harboring pathogens can seep into surface and groundwater on farms, affecting produce crops. For instance, the 2010 Salmonella outbreak in spinach was largely attributed to groundwater containing animal feces, and the harmful, irresponsible practices of industrial-scale factory farming. Raw milk sales and distribution are legal in many U.S. states, and most proprietors are local farmers selling directly to consumers. Some states, like Massachusetts, are considering passing legislation making it easier for farmers to bring raw dairy products to the people who want it. Others, like Wisconsin, are prosecuting a farmer for supplying a private buying club with raw milk and other fresh produce. I want the dairy we all consume to be safe and cultivated in the most natural, organic, sanitary environment possible. The same goes for meat and for fruits, vegetables, grains, and everything else we consume to nourish our bodies. The debate over raw versus pasteurized milk is as much about food safety as anything else. Whether you choose to consume raw dairy or not, make sure the source of that dairy is pure. Know where your food comes from so you can protect your family from disease and discourage farmers from the inhumane, unhealthy growing practices that have the potential to make us all sick in the long run. Deirdre Imus, founder of the site devoted to environmental health, dienviro.org, is president and founder of The Deirdre Imus Environmental Health Center at Hackensack University Medical Center and cofounder/co-director of the Imus Cattle Ranch for Kids with Cancer. 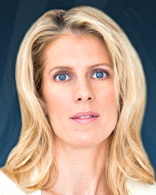 She is a New York Times best-selling author and a frequent contributor to FoxNewsHealth.com and Fox Business Channel.